As a parent, your child’s safety is important to you. No parent wants to have their children waiting at the bus stop any longer than they need to. You don’t want them standing by the side of the road in the cold or rain, you also; however, don’t want them missing the bus. 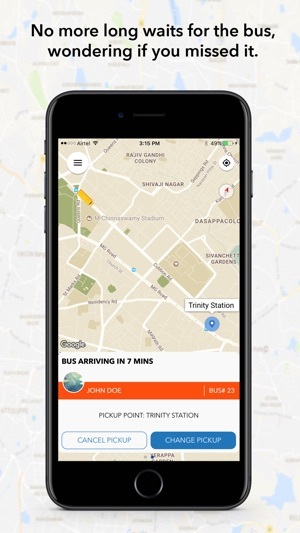 - Alerts about the expected time of arrival of the school bus, proximity alerts whenever the school bus is near the pick up/drop off point. - Know whether or not your child made it on / off the bus, and if they did, at what time. 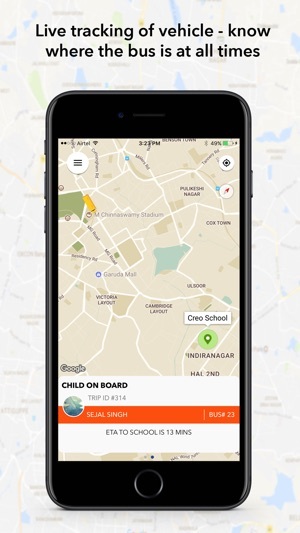 school to check on the status of their child’s bus. - Notifications when there has been a schedule change, delays or any emergency. 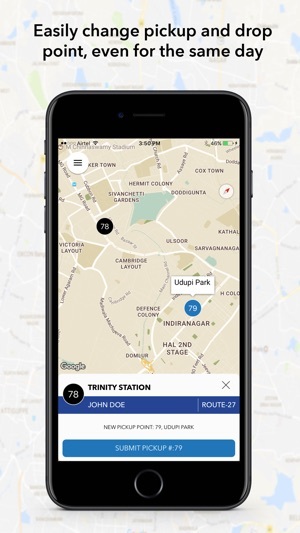 - Track multiple buses if your children don’t all ride the same bus. - Provide feedback to school. 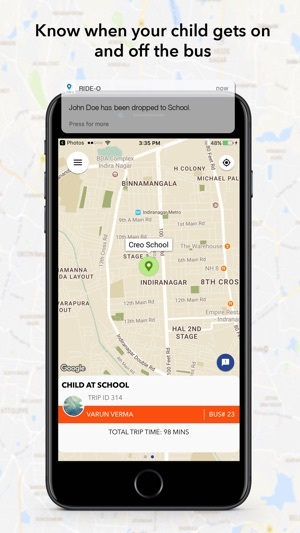 Only parents registered at partnering schools can login and use this app.